Isabelle Kowroski is a 6th grade student from our Fine Arts team and the daughter of Kathleen and Brad Kowroski. She has one sibling named Claire as well as a pet dog named Lacey and a bunny named Winnie. 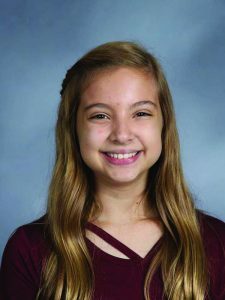 Isabelle attended Valley View elementary and is active in volleyball, tennis, and also enjoys painting and sewing. She would like to become a zoologist one day and her dream vacation would be to travel to Paris, France. Some of her favorites include science class, eating hamburgers, the movie Jumanji, the book Finally 12, and listening to jazz music. Isabelle is most proud of her fun personality and the person that she admires the most is her sister because she is awesome. 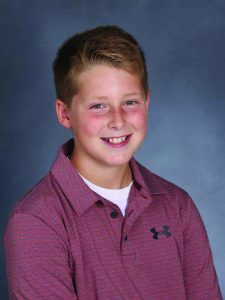 Mason Kirn is a 6th grade boy in our Forces of Nature team and the son of Jeff and Tami Kirn. He has one sibling named Rylan as well as a dog named Hunter. Mason attended Valley View elementary and is active in band at NRMS. He also enjoys snowboarding, fishing, playing with his dog, and hanging out with his friends. Mason’s dream vacation would be to travel to Jamaica. Some of his favorites include band class, eating pizza, the movie Black Panther, reading the Harry Potter and Percy Jackson series, and listening to Marshmello and E.D.M. Mason is most proud of his family because they like to have fun and are always so supportive. The person that he admires the most is snowboarder Red Gerard. 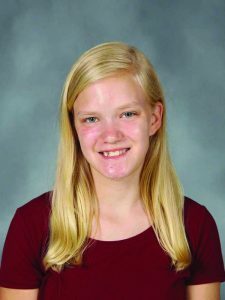 Megan Detmers is a 7th grade student and the daughter of Anne and Michael Detmers. She has two siblings named Andrew and Jacob as well as two dogs named Maizie and Mattie. Megan attended Meadowridge elementary and is active in track, dance, and enjoys filming in her spare time. She cheers for the University of Michigan and she hopes to work at Pixar one day. Megan’s dream vacation would be to travel to Paris, France. 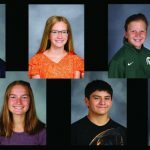 Some of her favorites include language arts class, eating cupcakes, the movie The Greatest Showman, reading the Harry Potter series, listening to music from Mercy Me and the song Reckless Love by Cory Asbury. Megan is most proud of her accomplishments in school and dance. The people that she admires the most are her parents for always being so supportive. 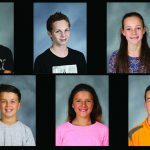 Trevor Champion is a 7th grade student and the son of Lisa and Mike Champion. He has one sibling named Emily and two dogs named Gunner and Diesel. 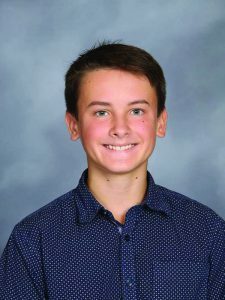 Trevor attended Roguewood elementary, plays hockey, and also enjoys snowboarding and playing video games. Trevor cheers for Michigan State and wants to become an interpreter one day. His dream vacation would be to travel to Hawaii. 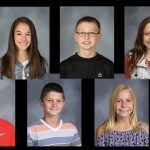 Some of his favorites include teacher Mr. Barr, eating pizza, the movie Star Wars the Last Jedi, the book The Twisted Ones, and listening to Metallica. Trevor is most proud of his good grades and the person that he admires the most is his dad because he has taught him so much. 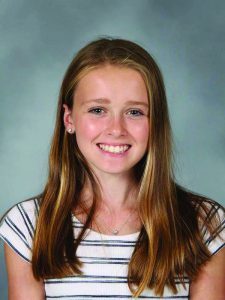 Anna Tracey is an 8th grade student and the daughter of Matt and Cathy Tracey. She has two siblings named Kate and Ben as well as three pets named Max, Dale, and Mikey. Anna attended Rougewood elementary and is active in track, cross country, gymnastics, and National Junior Honor Society. In her free time, she also enjoys running and reading. Anna cheers for the University of Michigan and hopes to become a lawyer one day. Her dream vacation would be to travel to Hawaii. Some of her favorites include Science class, eating chocolate, the movie Legally Blonde, the book Red Queen, and listening to pop music. Anna is most proud of getting into NJHS and the people that she admires the most are her parents because they are always so supportive. 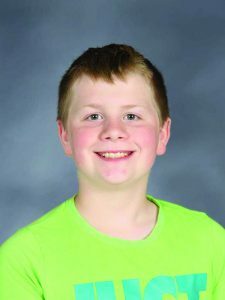 Collin Masternak is an 8th grade student and the son of Jason and Holly Masternak. He has two siblings named Braden and Andrew as well as a dog named Keeonah. 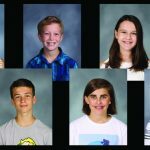 Collin attended Roguewood elementary and is active in track, cross country, and snowboarding. He cheers for the University of Michigan and he hopes to become a lawyer one day. Collin would like to travel to Portugal one day. Some of his favorites include teacher Mrs. Dixon, the movie Lion King, the book Finest Hour, and listening to all kinds of music. Collin is most proud of how hard he has worked in school and the people that he admires the most are his parents.